NTT docomo, a Japanese communications giant, is marking the 20th anniversary of its company with an exhibition of mobile phones from all around the world. 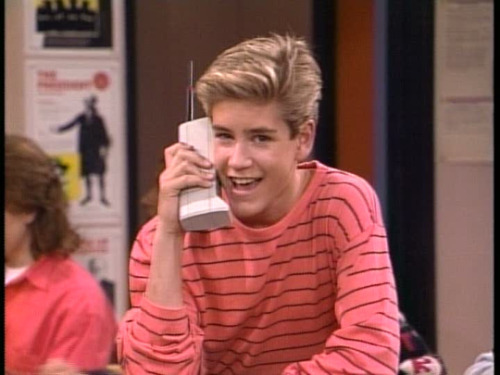 Flip phones, touch screens, giant Zach Morris phones and all are on display. It’s pretty amazing to see in one setting the evolution of different sizes, materials and features mobile phones have gone through since 1987. Click image to see full display. The first iPhone was released in 2007, 20 years after the first mobile phone hit the marketplace. In the multiple tweaks and new launches Apple has created, including the iPhone 5 this year, Apple has continued to push mobile technology forward. Original iPhone sold 700,000 units in the first weekend. The camera was 2MP, and the phone had a 3.5-inch screen. The iPhone 3G sold 1 million units its first weekend and had 10,000 apps in the App Store. The upgrade 3GS had a 3.2 MP camera, and like its predecessor, sold 1 million units the first weekend. Under the 3GS, the App Store crossed the 2 billion downloaded apps mark, as well. iPhone 4 sold 1.2 million units the first weekend and was the first to feature the Retina Display, HD recording and FaceTime to go along with the 5MP camera. The 4S premiered Siri, an 8MP camera and sold 4 million units the first weekend. Finally, we have the iPhone 5, which sold 5 million units in the first three days and has the newest Apple A6 chip, which is 22 percent smaller than the previous A5 and uses less power.